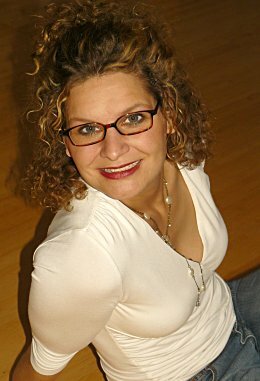 Today I welcome romance author Beate Boeker. Ms. Boeker’s new book, A Little Bit Of Passion released on April 4. Read my review here. Beate Boeker is a product manager by day and a writer by night. She’s also married and the mother of an energetic kid. If you mix Latin and German, Beate Boeker literally translates as “happy books,” and, with a name like that, what else could she do but write romances? Diva: Describe yourself in five words. Beate Boeker: Determined. Talkative. Curious. Curly. Organized. Diva: What are three things you must have while writing? Beate Boeker: One thick throw to keep me warm. No, make that two. A full pot of green tea with some flavor (usually lemon) - and the corresponding mug of course. Diva: When did you decide to write and who are some the authors that inspired your love of reading? Beate Boeker: Hmm. Difficult to say. It wasn't a conscious decision; it sort of happened all the time, first as a teenager, and then again in my mid-thirties. Basically whenever I started to get bored in my real life (I get bored very easily). Then I have to invent some challenge to keep me busy! Authors who have inspired my love of reading . . . I love Mary Stewart for the suspense, Georgette Heyer for her amazing characters, L.M. Montgomery for her love of beauty, Elisabeth Peters for her irony, Agatha Christie for the surprise, Dorothy Sayers for the intelligence . . . the list is long! Diva: How did your book A Little Bit Of Passion come about? What was your inspiration for writing the story? Beate Boeker: I'm the sort of writer who starts with a scene, sits down and sees where the story takes her. A Little Bit of Passion was born from a deep love of skiing and a winter when I didn't have the money to go on a skiing holiday. I dreamed myself away. And then, things took on a life of their own . . . It's the only book I have ever written in first person, and I think that's why it became a story very close to my heart. Diva: What was your road to publication like and can you offer advice to aspiring authors? in Germany. English is not my mother language, and I only started learning it at the age of ten, at school, as was normal at the time (today, German kids start at eight). My very first teacher was a Scot, and the first thing she taught us was to put our tongue between our teeth when saying "the". I remember we all laughed ourselves silly because we thought we were lisping, but I can't be grateful enough to her. I wrote my first novel in German (it was pretty dreadful), and when I realized that (this shows you how dreadful it really was), I tried to find people to tell me how to make it better. I really looked around hard, but I didn't find anything. At the time, I had already finished my business studies and had a busy full-time job, so going back to university and studying the development of language since the first men started to grunt was not an option. I searched everywhere and finally realized that in the US, there's a complete system for beginning writers. And so I decided to write in English. The next unusual thing happened about a year later. I had finished my first novel and decided I needed professional help, so I found a book doctor in the Internet. Her name is Elisabeth Lyon. She told me how to work on every aspect of my manuscript, and I learned more than I ever thought I could learn about writing. She then told me that Avalon Books publishes just the kind of novel I write (contemporary romance), so I sent them my story (after having edited it, of course). It took another 18 months or so before it was accepted. Advice to aspiring authors: Find a critique group or another author who works with you on your manuscript. It's not easy to find the right partner, because emotions run high when you give your first work out of your hands, but it's worth it. Via The Writer Magazine, I found Margaret Damele Elam, who took me through a strict school and encouraged me when I got a devastating report from a writer's contest on "A Little Bit of Passion". Thank God the editors at Avalon did not feel the same. So, my advice is: Never give up. Continue to dream your dreams. Diva: Are you working on any new projects that you can share? Beate Boeker: Yes. I have always loved the combination of romance and mystery and am working on a series set in Florence, Italy. I have not yet found a publisher for this series, but I haven't yet given up hope!